Warning — contains graphic imagery. That same warning, however, is also intended to inspire understanding of the world through the lenses of photographers, some who’ve risked their lives to capture images in recent and ongoing conflicts. World Press Photo 14 is an exhibition at the Canadian War Museum showcasing 140 photographs that feature the most astonishing images from around the world, and include such shocking photographs such as one of the Boston Marathon Bombing and another of a bomb-maker in Aleppo, Syria. The exhibit is at the Canadian War Museum until August 21. Price of exhibit is a general admission ticket. Museum is open Monday to Sunday, 9:30 a.m. to 6 p.m., and on Thursdays from 9:30 a.m. to 8 p.m. Ever since I moved away from Elgin Street Video, and since I refuse to pay for cable, my film options are, sadly, limited to Netflix (Canada) — which is sorely (and inexplicably, given the CRTC’s powers) lacking in Can-Con. Sarah Polley films? Forget it. Don McKellar’s material — missing. Even films by our superstar director, Cronenberg, are spotty. That’s why, among other reasons, I’m plugging a Canadian film this weekend — The Birder. Directed by Theodore Bezaire, it has an impressive cast (Tom Cavanagh, Mark Rendall, Jamie Spilchuk), including Canadian film-heavy weights, Graham Greene (Dances with Wolves) and Fred Willard (Second City, Modern Family). The dark-comedy presents the ornithologist version of Breaking Bad’s Heisenberg — a down-and-out high school teacher who is thrown out by his ex-wife and who is also growing estranged from his teenage daughter and her modern ways. The spark ignites, however, when he loses out on a park job to a younger applicant. Whereupon he embarks on a haphazard mission to take out his rival. The Birder screens one night only in Ottawa — Thursday, July 31 at 7 p.m. at the Mayfair Theatre. Members $6; non-members $10. Mayfair Theatre is at 1074 Bank St. 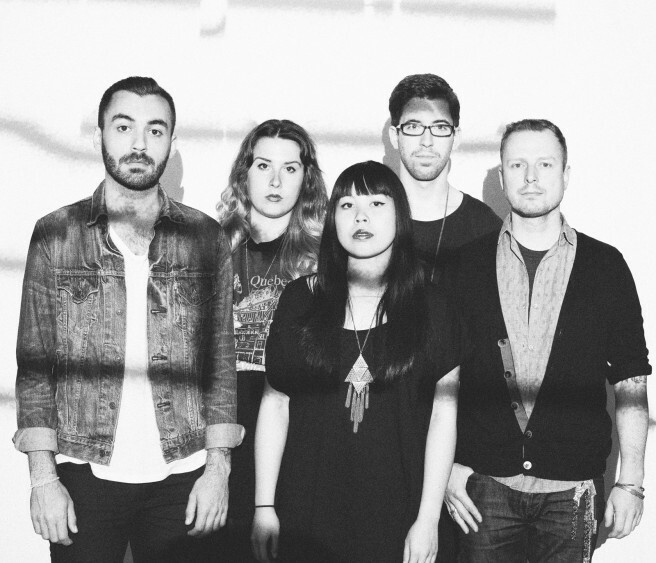 The Belle Game, Vancouver/Montreal band plays at The Black Sheep Inn on Thursday, July 31. With the mostly-great weather, it’s the perfect time for a short road trip — especially out to Wakefield’s Black Sheep Inn to see up & coming Vancouver/Montreal band, The Belle Game. Sound-wise: writers have noted their “dark pop rhythms” or called their brand of music, “pastoral pop” — singer Andrea Lo does seem to be drawing on some creepier imagery in her lyrics, and the band’s beautifully haunting music is, at times, inspired by blues and roots. Though it’s tempting to drift away in Lo’s voice or in the band’s richly layered melodies, poignant percussive moments interrupt the spell. A bewitching listening experience — The Belle Game play on Thursday, July 31 at 8:30 p.m. with Wakefield’s own, The Strain. Tickets $10 adv. Blink gallery is a rarity to begin with. Firstly, it’s only open during the summer months; secondly, it’s practically invisible — it’s hiding in an old ammunition’s bunker in the very back of Major’s Hill Park. Thirdly, blink and you might miss this weekend’s performance art piece — Whispers — because it’s only happening for three days. A trio of Ottawa artists — musician/composer Judith Manger, visual artist Maria Gomez Umaña, and poet Charles C. Smith — will present a collaborative performance to show notions of healing: individually, as a community, and as a planet. And given the ongoing conflicts around the world (Gaza, Congo, Ukraine, Syria, etc. ), goodness knows we could use some healing. For the curious, for the artistic-minded, or for those who’ve managed to resist becoming cold and cynical, check out Whispers on Thursday, July 31, at 6:30 p.m., and on Friday, August 1 and Saturday, August 2 at 1:30 p.m.
Fireworks — are they not the opiate of the masses? Now, I know they’re nowhere near to being a drug, but they do seem to have this intoxicating effect, in that people will stand for hours in a sweaty crowd, sometimes even after enduring torrential downpours, to watch what is, essentially, gunpowder exploding in the sky. Wow. So magical. Now that I’ve sucked out all the fun, Lac Leamy’s annual summer fireworks festival, Sound of Light, kicks off this Saturday, August 2 with a fireworks/musical performance from Hong Kong. The music is inspired by some of the most popular Western musicals. But the show is more than just fireworks. Get there earlier — 6 p.m. — and enjoy music, dance, and other family-themed fun. The fireworks blast off at 9 p.m. Tickets are $5 for adults, and it’s free for kids 11 and under. More info click here. The remaining fireworks shows are as follows: Wednesday, August 6 — Canada; Saturday, August 9 — Portugal; Wednesday, August 13 — Switzerland; and the finale is on Saturday, August 16.